For over thirty years, Plymouth has attracted hundreds of artists for a 3-day weekend called ‘Art in the Park’. This event aims to celebrate and support artists from communities across the nation. Every year, this city wide affair does not disappoint and we find ourselves running from to booth so as not to miss a singlething! With 400 artists annually, it's almost impossible to hit every single booth and really appreciate every piece of art. This year we decided to feature our top 4 must see artists so you can learn a little more before you hit the show. Go Forth Goods is a USA based high quality leather goods company whose main focus is to to be faithful down to the last stitch, to give back, and make a difference. The founder, Nathan Martin, thinks about every design and how it will wear over the next ten to twenty years with continually use. Using American-sourced leather, solid brass and copper rivets as their staples, they ensure that their goods will last for years to come. Not only does this Georgia based company care about they quality of the product they are producing, but they also value giving back to their community. 10% of all Go Forth Good's proceeds goes to the non profit organizations including local organization, Must Ministries who helps the homeless, abused women, and a food pantry to give back to their community. With these high quality products and philanthropy of Nathan Martin and his team of artisans, they are a must at this year's Art in the Park! With prices starting at $15+, you need to grab one of their beautifully designed leather goods or t-shirts to show your support! Be sure to stop by their booth and say hi to Nathan and Adam! Inspired by her dog, Jack, Ruthie began creating her own line of pet collars after continuous disappointment in the quality and unoriginality of collars from your local pet store. Determined, she learned how to create her own collars that she could customize and change seasonally for her beautiful German Shorthair Pointer. Based in Saint Clair Shores, Michigan (#michiganmade) she specializes in collars, leashes, and other toys for any furry friend! Ruthie also handmakes martingales, a rare special training collar, in her amazing patterns and colors! With collars ranging from $13-$30, and accessories starting at $5, you and your furry friend need to stop by and say hi to Ruthie in her booth off of Forest Avenue! Artist Rezgar Mamand creates hand painted decorative and functional ceramics that feature an ancient aesthetic with a contemporary appeal. The word Manna is derived from Mannea, an ancient civilization that dates back to the 7th-10th centuries BC. Mannea is located in the northwest region of Kurdistan, Iran- which is near where Rezgar grew up (Rabat). We love the idea of commemorating a special occasion such as wedding, graduation or birth of a child with a one of a kind, hand painted piece of art from Manna Pottery. Lia Andreassi is Detroit born and raised (#detroitlove) and has a minor obsession with essential oils! She was introduced to diffuser jewelry (which combines natural stones and fragrant oil) after a recent trip to California. However she was frustrated by being unable to find jewelry of this type that featured designs that suited her personal style. Hence Stella and Luna was born; diffuser jewelry of her own design. She uses high grade gemstones with black lava diffusing beads to create beautiful bracelets and adds a personal touch with a delicate charm. Each bracelet can have essential oils added to the black lava beads for lasting scent for aromatherapy and alternative medicine with healing properties. The scent can last up to three days and then can be reapplied or swapped for your next favorite essential oil! 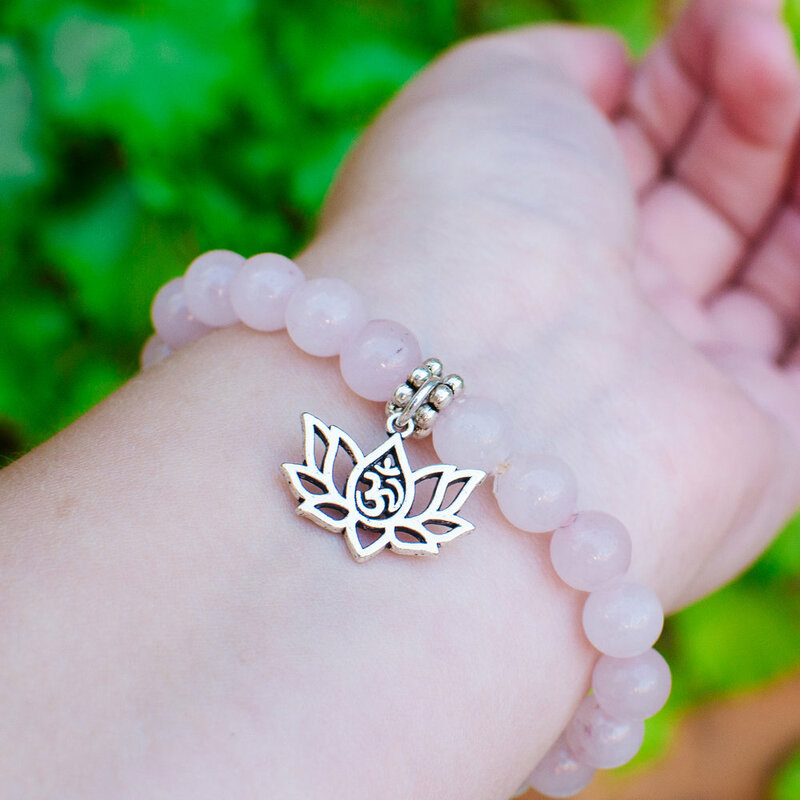 There are so many benefits to essential oils and having them so readily available is the reason Lia creates these beautiful accessories; she says her goal is to create relaxation at your wrist! Be sure to stop inside of Bella Mia to meet Lia and purchase one of her bracelets for only $18. Woolzie's Essential Oils and Essential Oil's guidebook will also be available for purchase. Who are you looking forward to seeing this year? Don't forget to come into Bella Mia and get a refreshing water bottle and a coupon!